Cheesy. Crispy. And just green enough. 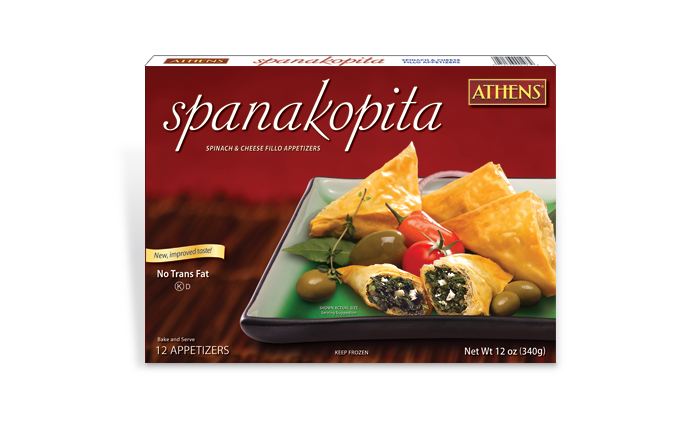 These handmade appetizers are a delicious blend of spinach, cheese and savory seasonings wrapped in a crispy phyllo triangle. 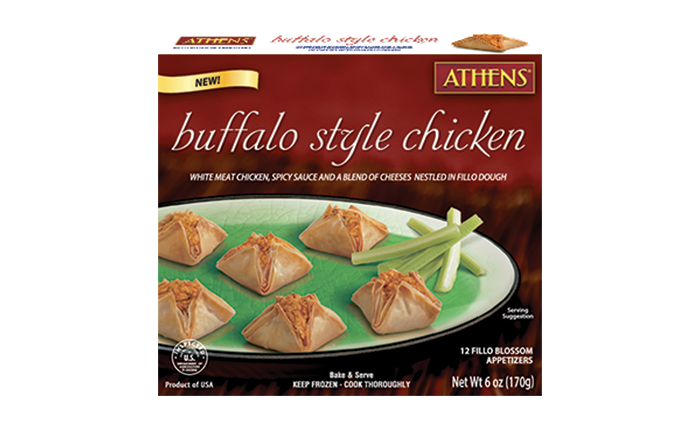 Perfect for parties and entertaining as a bake-and-serve appetizer. 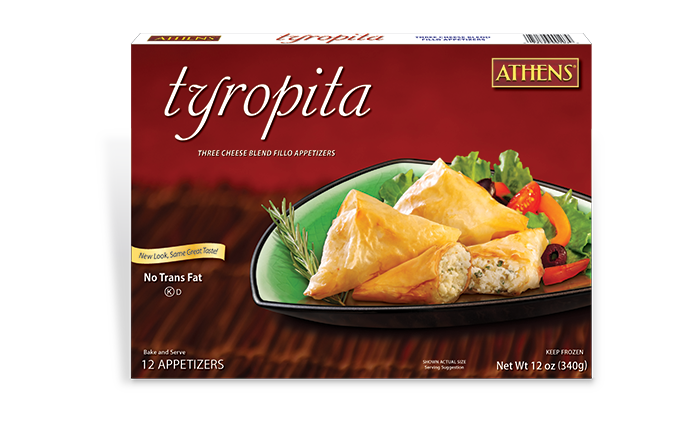 Accompany these tasty triangles with soup and salad for a light, satisfying meal in minutes! Enriched Wheat Flour (wheat flour, niacin, iron, thiamin mononitrate, riboflavin, folic acid), Water, Spinach, Cottage Cheese (cultured pasteurized skim milk, milk, cream, salt, grade A whey, grade A lactose, guar gum, carrageenan, locust bean gum, citric acid, lactic acid, phosphoric acid, natural flavoring, cultured grade A skim milk, Vitamin D3, enzymes), Feta Cheese (pasteurized milk, salt, cheese culture, enzymes), Canola Oil (canola oil, rosemary extract, ascorbic extract [antioxidant]), Corn Starch, Dehydrated Onion, Contains less than 2% of each of the following: Eggs, Salt, Vital Wheat Gluten, Dill, Cultured Wheat Flour, Modified Food Starch, Preservatives (calcium propionate, sodium propionate, potassium sorbate), Dextrose, Maltodextrin, Citric Acid, Spice. Everyone’s favorite dip, now with a built-in chip. How convenient!